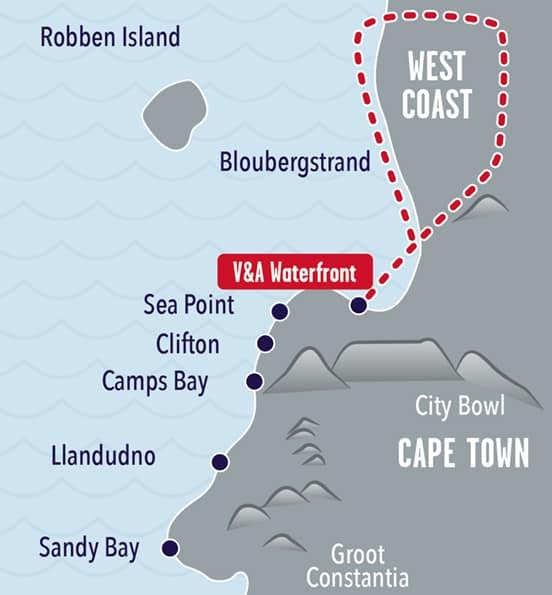 An adrenaline packed flight from the V & A Waterfront with spectacular views of Table Mountain, the City Bowl and Robben Island as you take-off. 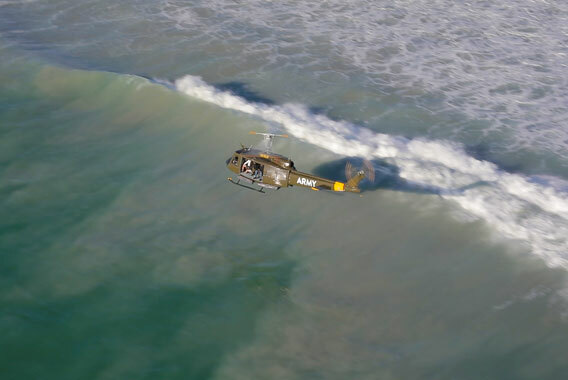 Experience the rush of open door, low level flying skimming the waves along the beaches of Big Bay and Melkbos with the wind rushing through your hair. 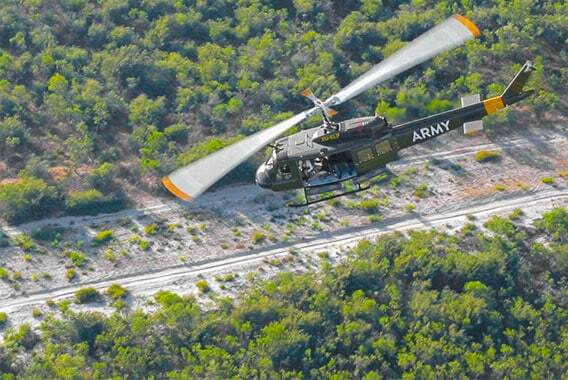 Feel the adrenaline pulsing through your veins during the inland simulated combat flight where you will experience ‘combat- like’ maneuverers as if part of the Vietnam war. 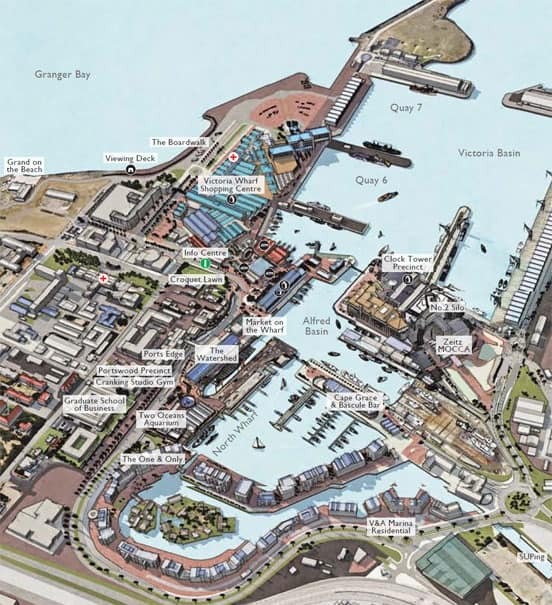 This is what white-knuckle memories are made of! 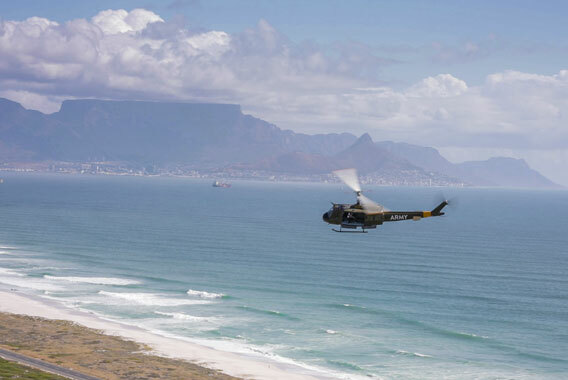 The ONLY Army Helicopter in the world licensed to do this flight. 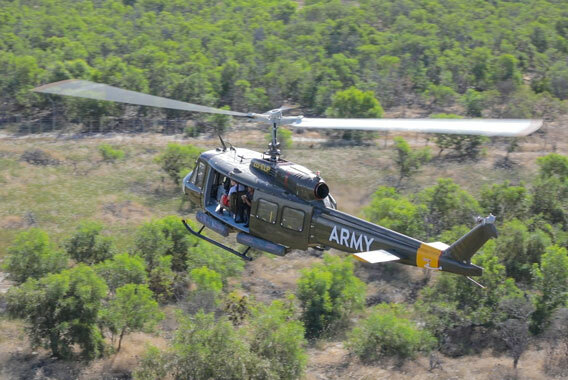 Exclusive to Sport Helicopters! 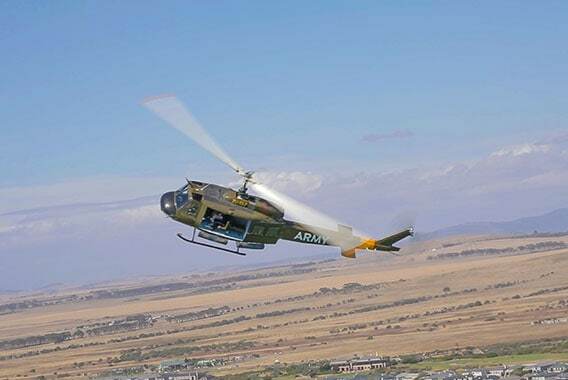 Although every effort is made to join groups and single individuals together, the Huey is a very large helicopter that requires a minimum of 6 passengers before she will fly. 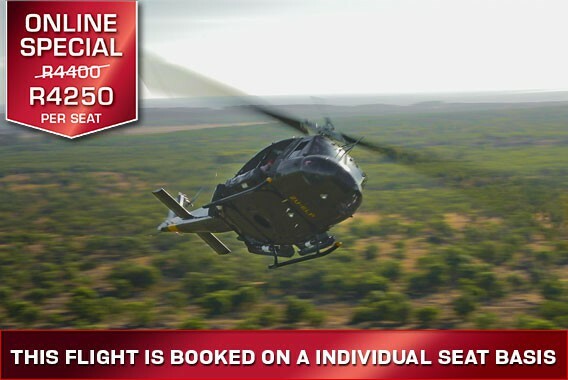 If we are unable to get the minimum required 6 passengers, the client will have an option of either booking the Huey privately at a discount (payment for 6 only) or alternatively we can offer clients another helicopter at an equal or better value flight or if clients prefer a refund, a refund will be given.